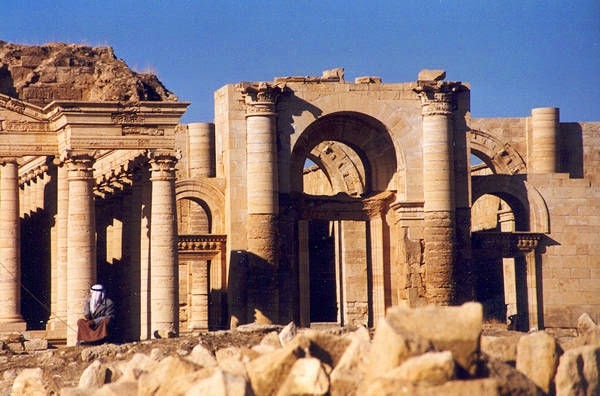 Baghdad: Islamic State (IS) militants have reportedly destroyed the ancient town of Hatra in northern Iraq. The act is the latest in a string of attacks on Iraq's cultural heritage, including in the ancient Assyrian city Nimrud and Mosul. Hamid al-Jaburi, the head of the archaeology department at Mosul University, was quoted as saying militants had blown up Hatra's ancient ruins and artifacts with explosives on March 7. Hatra, a UNESCO-listed site, lies about 110 kilometers northwest of Mosul. It was founded more than 2,000 years ago and is famed for its temples. The alleged destruction comes two days after the Iraqi government said Islamic State militants bulldozed the ancient Assyrian city of Nimrud in northern Iraq. The UN labeled Nimrud's destruction a "war crime." Last month, video footage circulated of militants smashing massive 2,600-year-old stone statues at a museum in Mosul.